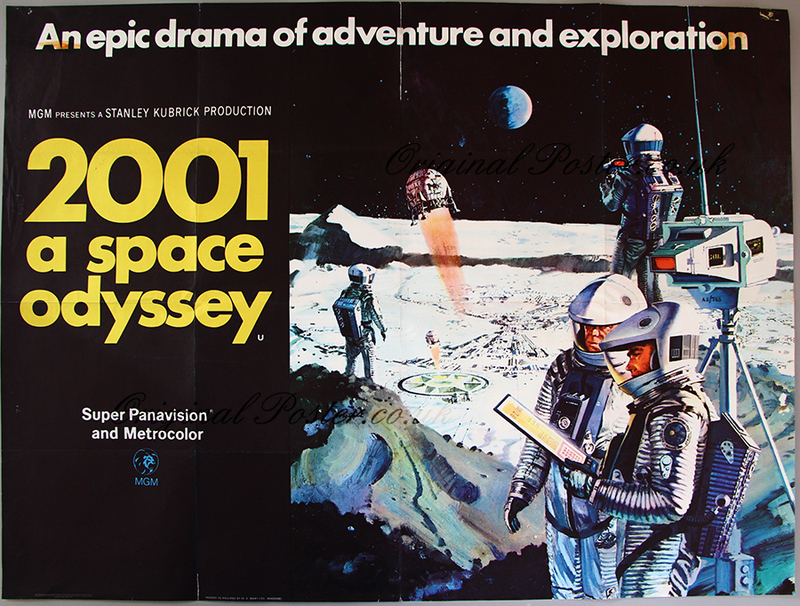 Details Artwork for the film "2001 a space odyssey" was of the highest order largely because director Stanley Kubrick refused to allow photographers onto his set. This Robert McCall painting depicting astronauts working with their equipment exploring the surface of the moon ranks as arguably the finest artwork on any of the film posters. Printed in England by W. E. Berry Ltd. of Bradford. This is a hard to find film poster. Please note there is a repaired tear as seen on the top centre fold line and a smaller one at the bottom left fold line as seen. There are two areas of tape marks at the top corners where we believe a snipe had been attached historically. The colours are really vivid on this one and it displays really well.